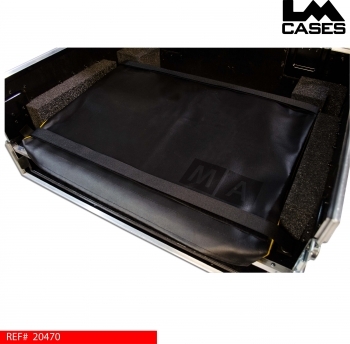 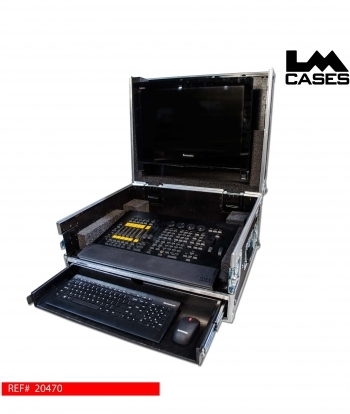 This case was designed for Vincent Lighting Systems to hold a MA Lighting MA onPC command wing lighting controller. The case lid holds a Lenovo all in one PC to interface with the controller while the case bottom holds the physical controller and a slide out keyboard shelf. 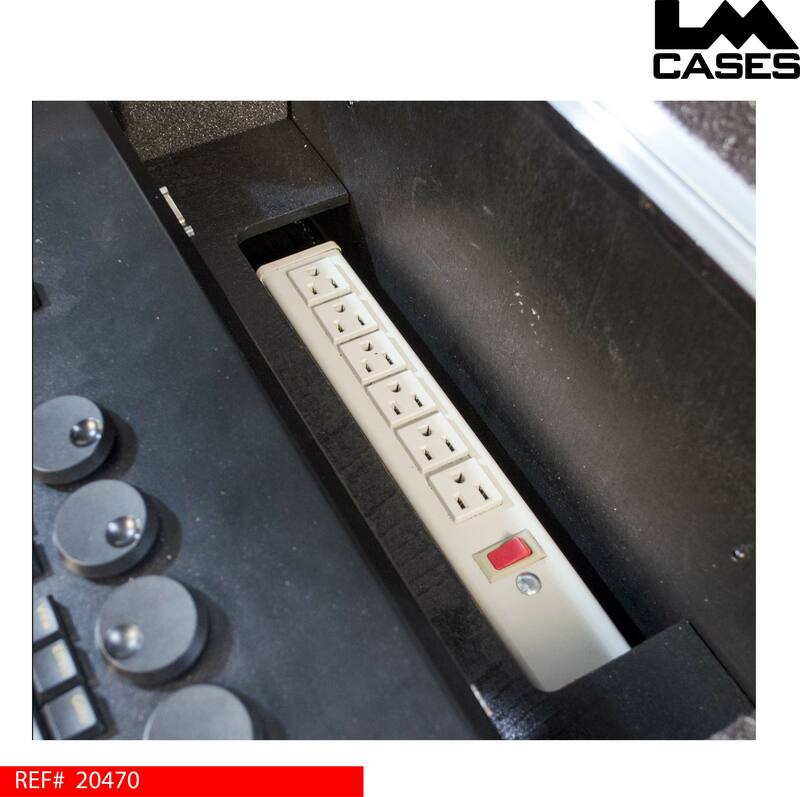 Power is supplied to the console and PC by a multi outlet strip installed by the LM Cases Custom Integration department. 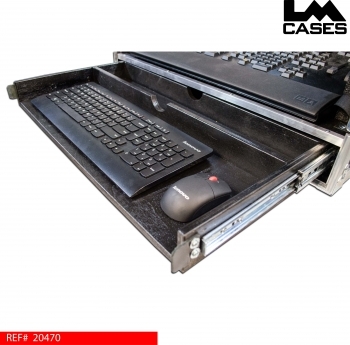 The exterior case is built out of 3/8" plywood laminated with black ABS plastic and features recessed hardware. 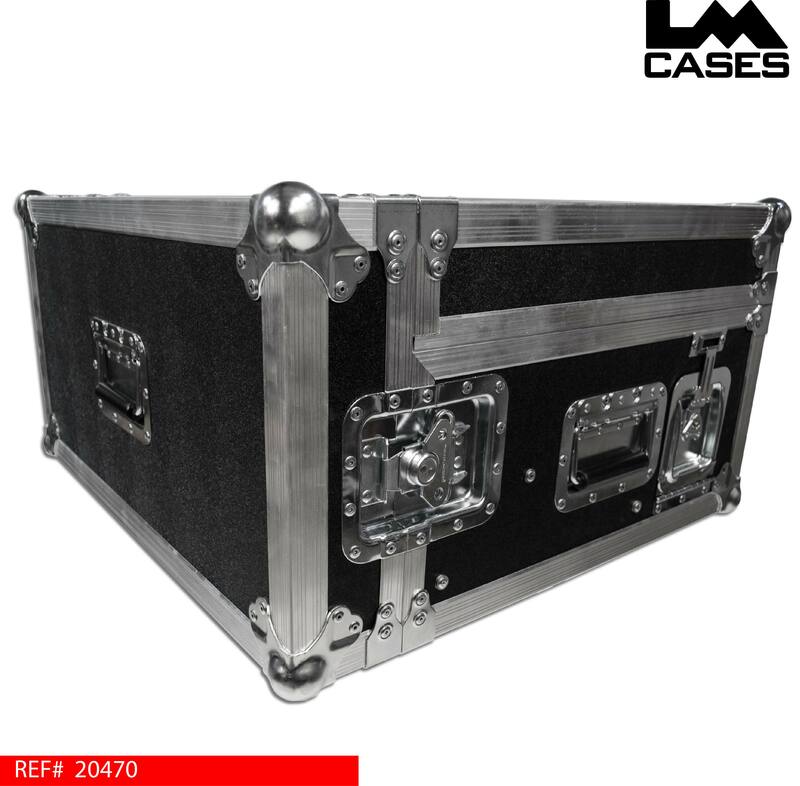 Special thanks to Vincent Lighting Systems!